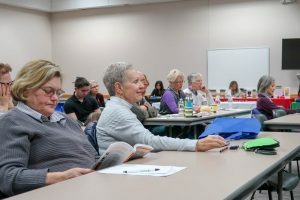 BELLINGHAM, Washington: The Binaytara Foundation hosted the Northwest Cancer Patient Summit on February 3 at PeaceHealth St. Luke’s Community Health Education Center. 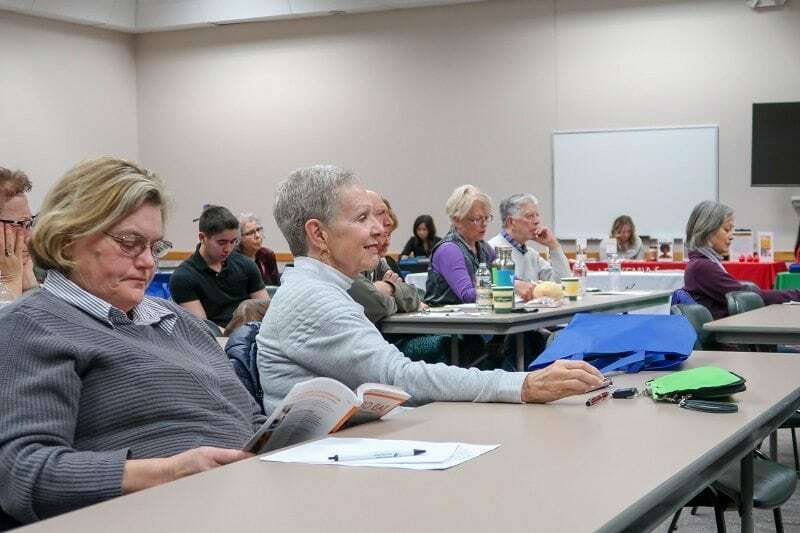 The free summit, attended by nearly 50 people, provided an opportunity for patients and their family members, advocates, and others to learn about the disease from local experts. The summits fill an important gap in education for cancer patients, who are often left to face the disease with little information other than from their doctor. Speakers included Oncologist and Hematologist Dr. Shah, Halleck Holistic Health’s Dr. Maria Putney, PeaceHealth Patient Financial Advocate Erin Robertson, and Farmers Insurance Agent Raeann Scott. Shah kicked off the summit with information on developments in immunotherapy, a promising and relatively new type of treatment that utilizes the patient’s own immune system to battle the disease. Immunotherapy may have less severe side effects compared to the traditional chemotherapy treatment. It can also be customized for different types of cancer and patients. The major downside to immunotherapy right now is cost, Shah said. Treatments can range from tens of thousands of dollars to over $1 million. He said the Binaytara Foundation and various other organizations around the country are looking for solutions to that cost problem. Dr. Putney followed Shah with a discussion on naturopathic medicine and alternative therapies to manage side effects of cancer treatment. She describes methods for reducing cancer PANIC, which stands for pain, anxiety, nausea, insomnia, and constipation. After a break, Robertson and Scott finished off the summit with talks on financial resources provided by PeaceHealth and life insurance policies, respectively. This was the third Northwest Cancer Patient Summit hosted by the Binaytara Foundation, with the first two held last year in Bellingham and Mount Vernon. The next summit is planned for early June in Bellingham. Along with hosting local patient summits, the Binaytara Foundation this year is hosting a pair of large medical conferences in Seattle and Coeur d’Alene, Idaho. The 2018 Summit on National and Global Cancer Health Disparities is set for April 28-29 in Seattle and will focus on solving financial toxicities in cancer care and other disparity issues. The 6th International Conference on Advances in Hematology and Oncology is scheduled for August 4-5, and aims to arm doctors and nurses with the latest updates in cancer care. In addition, the Binaytara Foundation is working on developing a public state-of-the-art cancer center in Nepal, and the first hospice and palliative care training center in Madhya Pradesh, a state in India. Binaytara Foundation (BTF) is a 501(c)(3) nonprofit. BTF’s charitable projects include, but are not limited to, a bone marrow transplant center, international hospice programs, cancer conferences for healthcare providers and patients, and research grants in resource-poor communities. For more information on BTF projects, visit binayfoundation.org.